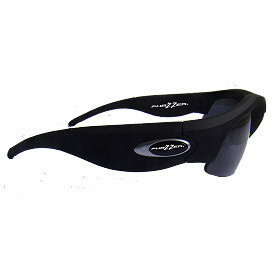 PhaZZer® DVR 5.0 Cyclops (Black) » Protective Solutions, Inc. The high definition video is stored internally on a Class 4 SDK Brand 8GB micro SD card with approximately 100 minutes maximum storage capacity. The internally weather proof sealed SD Card can withstand extreme hot and cold weather conditions as well as moisture and ensures the integrity of the video footage. Available in Matte Black frames (with polarized dark tint & blue mirrored lenses) or Camouflage frames (with polarized dark tint & yellow lenses).